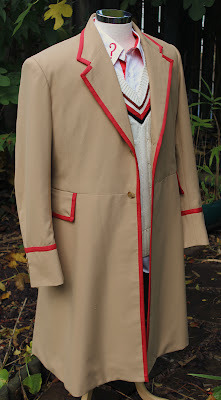 I woke up this morning to hear the sad news that Colin Lavers, who designed the look for the Fifth Doctor had died. 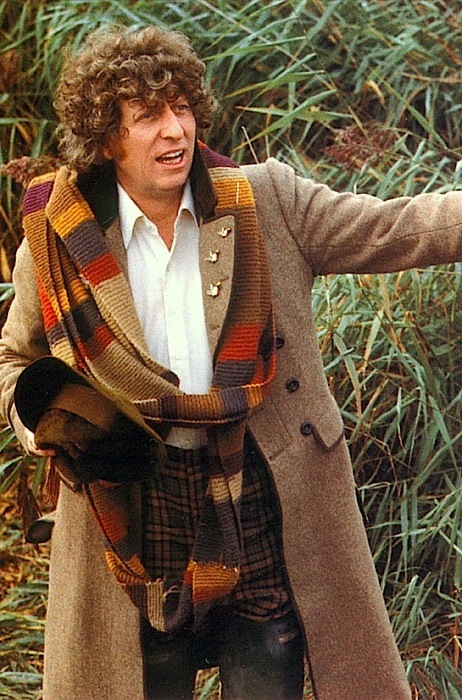 Colin was a in-house Costume Designer for the BBC, and in 1982 he was scheduled to work on the Doctor Who story Four To Doomsday, which became the first story to be recorded following the rejection of the planned debut adventure (a replacement script was shot later). He therefore had the task of realising the Fifth Doctor’s costume. 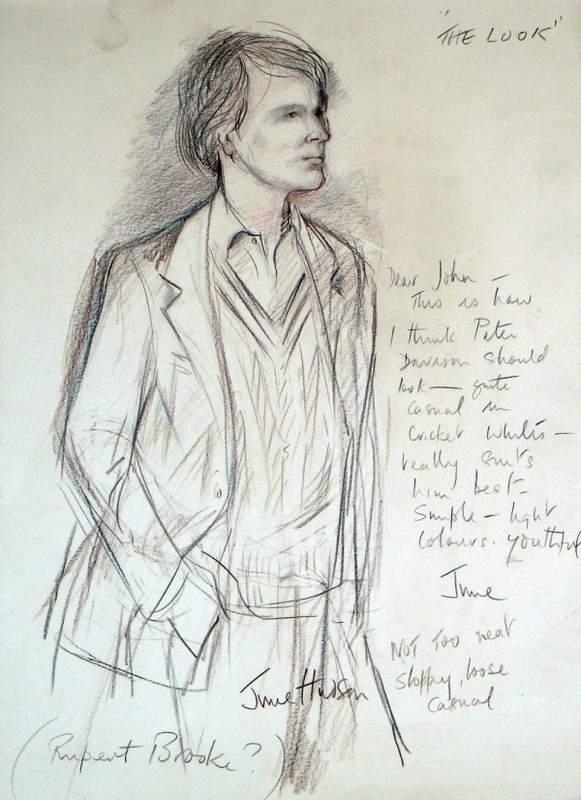 The cricket motive came out of discussions with Peter Davison and producer John Nathan Turner, as well as some input from veteran costume designer June Hudson, who’s influence injected the v-neck jumper into the mix. 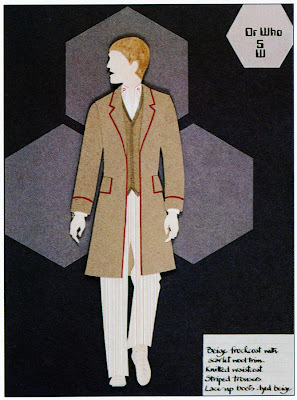 But one part of the Fifth Doctor’s costume that was distinctly not his idea was the retention of the question marks on the shirt lapels, first seen the year before in what was Tom Baker’s final season, designed by June Hudson. 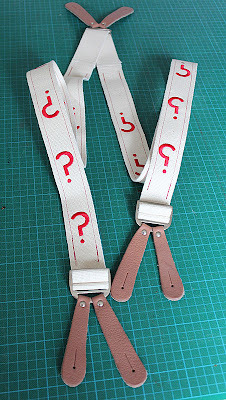 "I do feel that the Doctor Who shirt with the '?' mark on the lapels is worth hanging on to." He also worked on two other stories, The Power of Kroll in 1978 and The King’s Demons in 1983. Colin later had the distinction costuming the multi-Doctor 20th anniversary story, The Five Doctors. 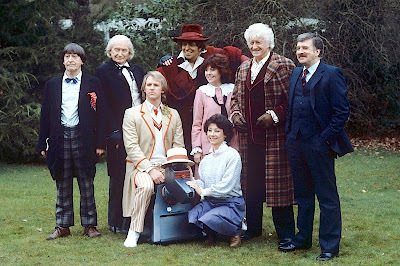 As a result of working on these scant few episodes, he was responsible for costumes for the First, Second, Third, Fourth (designing the iconic large-lapeled coat for The Power Of Kroll) and Fifth Doctors; his protagonist The Master (twice, as he had already dressed him for The King’s Demon); the companions Susan Foreman, Sarah Jane Smith, Liz Shaw, Zoe Herriot, Jamie McCribbon, Tegan Jovanka and Romana I (during The Power Of Kroll); as well as the Brigadier and Mike Yates - only Turlough escaped his attention! By default this means by head-count he provided more outfits for Doctors and recurring characters during the original run of Doctor Who than any other costumer. Outside of Doctor Who, his other TV credits included the BBC's Shakespeare series, Agatha Christie's Miss Marple: A Caribbean Mystery, As Time Goes By, Judge John Deed, EastEnders and Last of the Summer Wine. Colin suffered a heart attack and died at home suddenly. 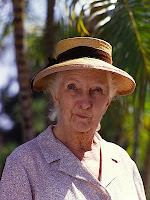 His funeral is due to take place on 24th July 2012, followed by cremation. My thoughts, and hopefully yours, are with his family. Thanks for posting this fitting post. A lot of articles will likely just mention it, or papers will only have a foot note, but you've given some nice background that really helps readers appreciate what he achieved.